Whatever type of organization you represent Award Connection can "connect" you to the products and services that can make your organization or event more successful. Show employees, clients, donors, volunteers, or sponsors how much your organization values them. Provide customized or personalized promotional items, awards, trophies, plaques, medals and other miscellaneous recognition products. 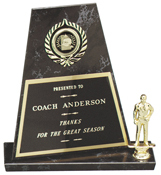 Celebrate Academic accomplishments with Academic Medals, Plaques, Trophies and much more. Reward Students and Teachers, Coaches & Athletes, Artists and Musicians on their accomplishments. Motivate your employees, acknowledge your best clients and vendors, or promote your brand name with awards and corporate promotional items and apparel. Reward the leaders in your community or community organization with recognition and appreciation awards and trophies. Celebrate your local heros that make your local community so great. Recognition of efforts can go a long way, most times non-profits can't afford the perks to compete with other employers, but make up for it by showing employees and volunteers that they are appreciated. Celebrate and Reward those individuals that achieve the best results at your school or university with Plaques, Trophies, Medals, and Certificates as a tribute to their academic accomplishments and efforts. Whether it be for Coursework, Athletic, Music, Band, Art, or Drama achievement, Awards are highly coveted in all schools and universities. Don't forget to recognize those who make the academics what they are with Teacher Appreciation and Acheivement, Retirement Plaques, Coaching or Mentor Awards and Trophies. 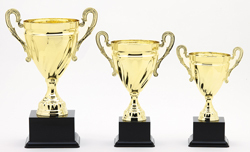 Motivate your Employees with Awards. 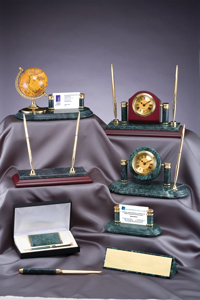 Use awards for excellent customer service, sales leaders, quality standards acheivement, safety awards, team building, employee-of-the month awards, retirement plaques or for anything else to motivate your organization. Promote your Business. Build your brand name or let your valued customers know that they are important. We supply everything from distributor and customer appreciation awards to any type of promotional items and apparel for trade shows or as leave-behinds for your sales force. Community Sports and Recreation can be greatly enhaced with the proper recognition and awards. Provide awards for acheivement and efforts for everything that makes your community great. 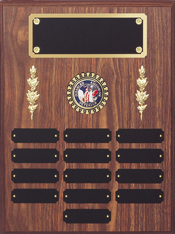 Reward the leaders in your community or community organization with recognition and appreciation awards and trophies. Show appreciation for your local heros, like the Police Officers and Fire Fighters that serve and protect your community. 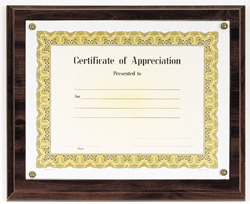 We offer a full line of recognition and achievement awards, trophies, plaques and anything else you need to keep your employees, volunteers, donors, and sponsors feeling appreciated. Let Award Connection help you personalize and reward those that make your organization successful.